Wikileaks co-founder Julian Assange was arrested on Thursday after the Ecuadorian consulate who'd been offering him asylum for nearly 7 years revoked his privileges, thereby kicking him to the curb with immediate effect. Prior to his amnesty clause coming to an end, talk concerning his imminent arrest started to pick up, commensurate with the fallout an overgrown adult would face if their parents pulled the eviction card - except in this instance, Assange is a fugitive/freedom fighter wanted by several agencies worldwide. 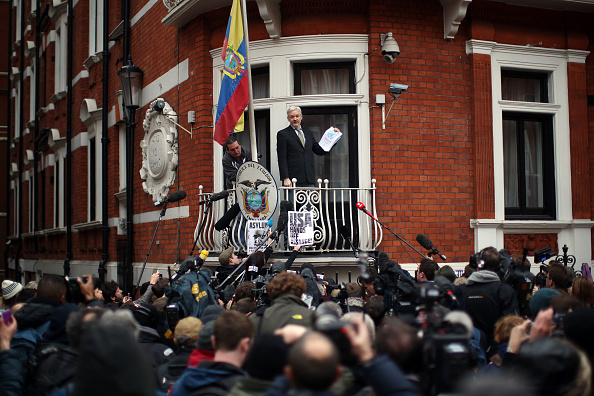 The Ecuadorian Embassy in London rescinded Assange's privileges on the grounds that he was guilty of violating a good number of "international laws" by resisting arrest (for over 7 years). In response to their actions, the Wikileaks Twitter account did everything in their power to defend the co-master of their domain. Unfortunately, without the backing of a clear alternative, little could be done to prevent London Metropolitan Police officers from making his arrest. You may have used it yourself - during the course of a truth-seeking mission. Wikileaks was at its peak between 2006-2011 as a non-profit classified page built off anonymous user submissions, effective in clearing up a ton of messy cover-ups at the intelligence level. Wikileaks was sprung into the spotlight in 2010 after an anonymous user published a video of US soldiers killing civilians from a helicopter in Iraq.